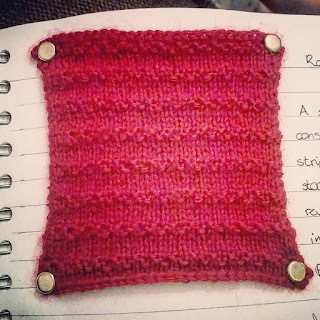 The name of this stitch fascinates me, on the one hand there is very little evidence of Romans knitting, or at least in the sense of what we today would call knitting. On the other hand there doesn't seem to be an origin for this stitch as it is very old. Barbra fails to mention anything about the name in the book so I decided to look it up. I couldn't​ find why the stitch was named thus; I did however, discover in Rome occupied Egypt there was a practise called nalebinding. It's again hard to say where this craft originates, however it appears to be a form of single needle knitting. 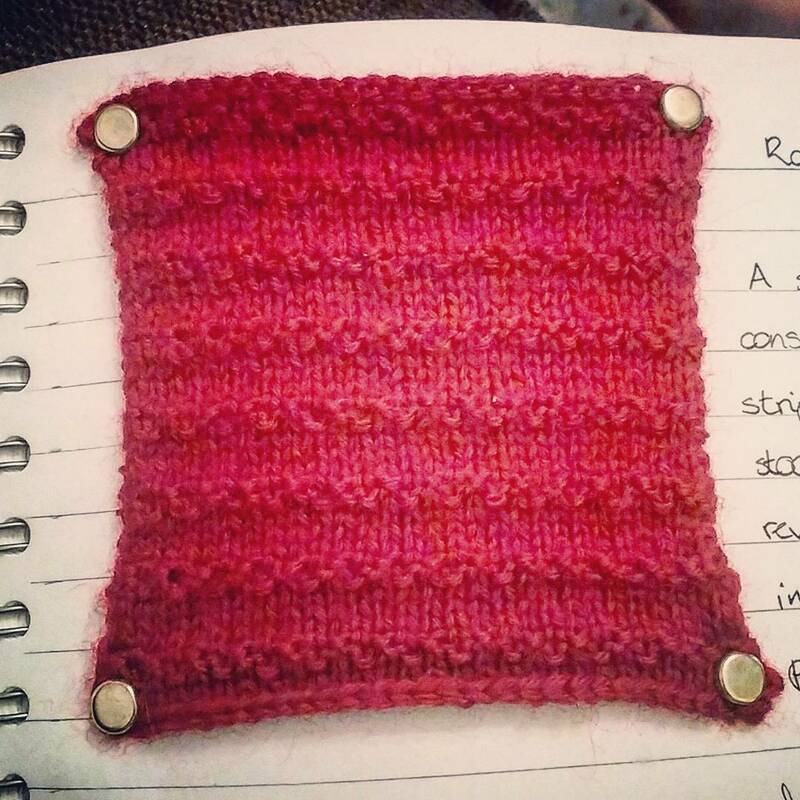 Now I suspect that Roman Stitch owes its name to the fact that it has an astonishing similarity to nalebound objects. So even though its roots may not technically be ancient knitting in the traditional sense, it is likely a copy of one of the oldest forms of knitting in the world. 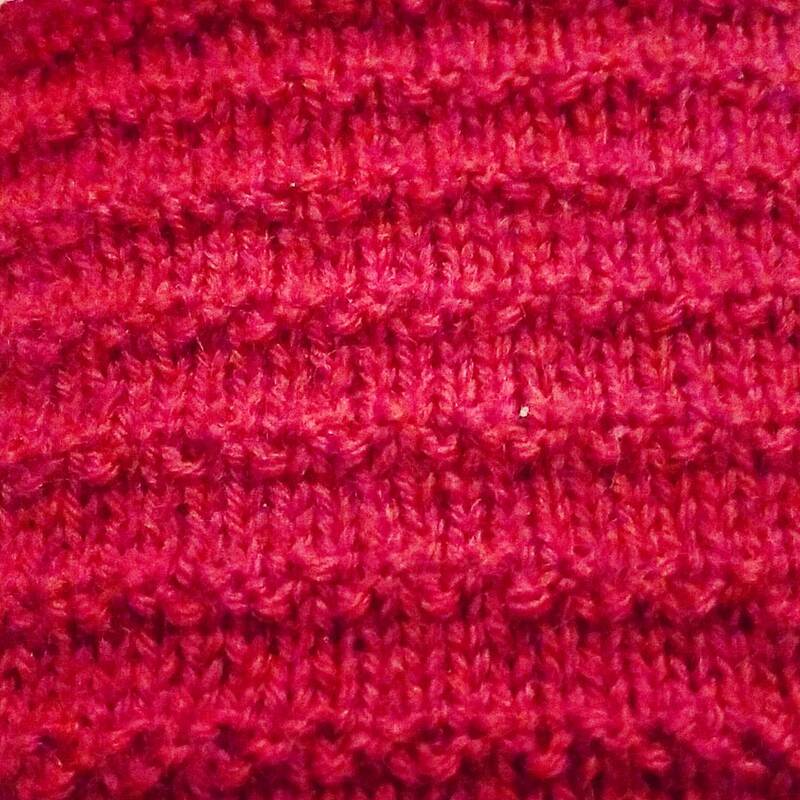 Now on with the pattern, it's fairly simple, consisting of seed stitch stripes against a stockinette background. 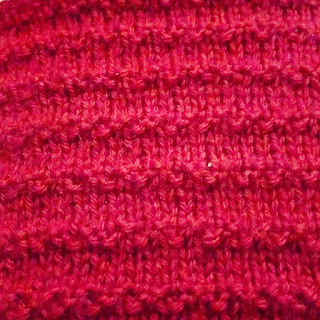 The reverse is an interesting recessed purl pattern.